Andre Drummond was bad in Game 3, and heard boos from Pistons fans. But don't let one game wipe out the progress he has made. 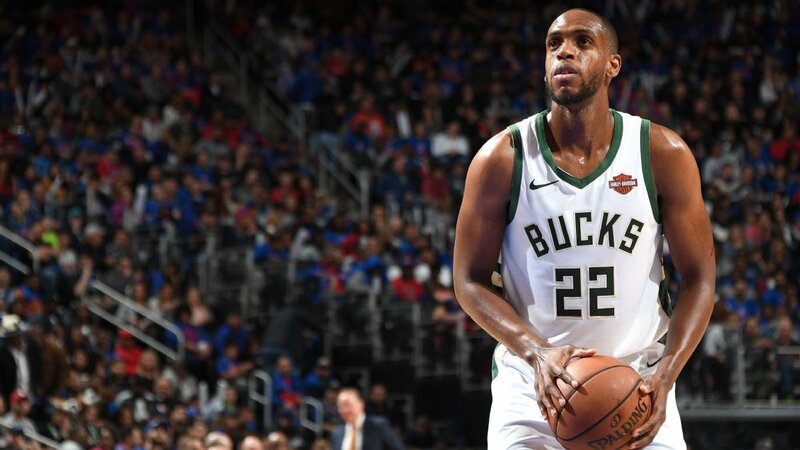 While other top-seeded playoff teams have blown leads and racked up technicals, Milwaukee has outscored Detroit by a combined 72 points through three games. Griffin finished with 27 points in his first playoff game but it wasn't enough as Milwaukee eased its way to a 119-103 victory before a sold-out crowd Saturday at Little Caesars Arena. Throwing is a strong word for what Harkless did with his headband, but he is fined nonetheless. I think they should wait out another year when cap sheet is cleaner - unless something presents itself that is a no-brainer. Would you do this? Wouldn't be surprised to see #Pistons to re-engage here. Tonight is a perfect example of why I follow sports less and less as I grow older. This is what happens when some guy tries to argue with folks who watch every game and knows the actual stats about this stuff. But download a free app and yep my opinion is out there - no matter how ill-informed. @MikeyjG15 @Vincent_Ellis56 There's a lot of evidence to the contrary about Andre vs. other top C's. Also, Lopez made a shade under 23 mil just last year so he has (very recently) been paid a similar amount. He just went ring-chasing this season. Yep, the subject of derision and anger because I don’t agree with the angry mob. Luckily I don’t care.